Steve’s History of the Circus page! The Travelling Circus: Thomas Taplin Cooke brought his entire Circus company to America in 1836. 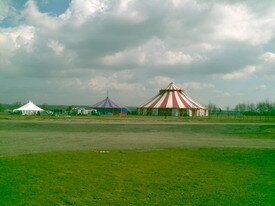 When he returned to England,he brought the idea of the Circus Tent home with him. His daughter Maryann and her husband William Cole stayed behind. Their son WW Cole would become the first circus millionaire in America. Thomas Cooke’s son William ran Astley’s in London for many years. 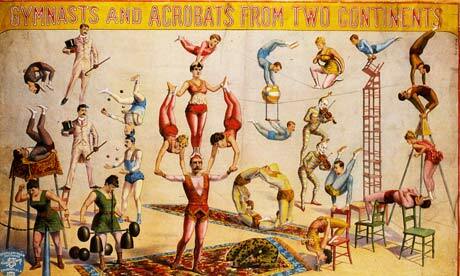 Thomas Cooke’s descendants influenced circus in America, Australia, England, Russia and Europe for the next 100 years. 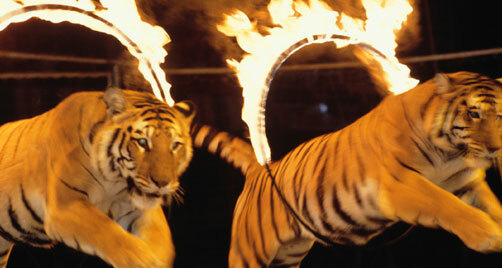 Other Circus owners, from France and Italy, began touring across Europe, and the rest of the world. New acts including Chinese acrobatics, the diabolo and plate spinning were introduced as the popularity of the Circus continued to grow. 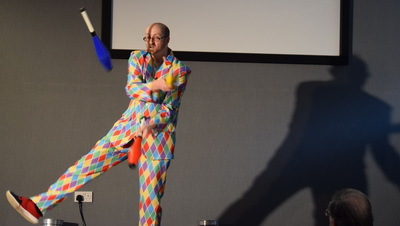 Steve has a History of the Circus 30min Show that he tours around Schools and Kid’s Events.